Congressman Cummings is a senior member of the House Committee on Transportation and Infrastructure, where he sits on the Subcommittees on Highways and Transit and on Railroads, Pipelines, and Hazardous Materials and serves as Chairman of the Subcommittee on Coast Guard and Maritime Transportation. In his role as Chairman, Congressman Cummings oversees the implementation of the U.S. Coast Guard's FY2007 $8 billion budget. Congressman Cummings is also ranking member of the House Committee on Oversight and Government Reform, and a member of the Joint Economic Committee. 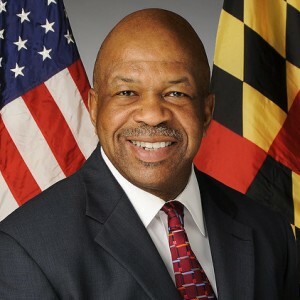 He began his career of public service in the Maryland House of Delegates, where he served for sixteen years and became the first African-American in Maryland history to be named Speaker Pro Tem. First sworn in as a member of the U.S. House of Representatives in 1996, Congressman Cummings has proudly represented Maryland's 7th District for seven terms. Born and raised in Baltimore, Maryland, where he still resides today.